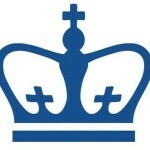 Operated by Columbia University, the Columbia Global Center hosts visiting Columbia University scholars and holds events. Address: No. 26, 1 F, Core Plaza, No.1 Shanyuan Street, Zhongguancun, Haidian, Beijing, China 100080. The establishment of the Columbia Global Centers | East Asia in March 2009 under the leadership of Professor Lu Xiaobo represents a milestone for Columbia University. The Center has established extensive partnerships with the local academic community, organizations, and policy groups that have a wide range of programs. The Center has played a vital role in forming “Genome Center”--a joint center of Tsinghua University and Columbia for cutting-edge research in the field of genomics. In 2010, the Center turned a new page under the leadership of Professor Geng Xiao, who initiated a number of high impact events and programs to strengthen Columbia’s relations with local partners and improve our understanding about China and the East Asia region. Highlights include the Summer Palace Dialogue between Chinese and American Economists which brought together twenty leading Chinese and US economists and policy advisors to discuss and exchange ideas on a variety of heated topics. The launching of the “Urban China Initiative” (http://www.urbanchinainitiative.org/) is another example. It is a joint effort among the Center, Tsinghua University and McKinsey & Company, aiming to establish a think-tank to help China meet the challenges of urbanization.